I had saved a search for it on ePay and when it finally came up it sold for over $600. Out of my price range. My roomy just finished Arkham City. It was really nice being able to play Castlevania Bloodlines on the TV while she played on the controller. I've put this pic up before when someone asked about the AT&T model. I'm not home right now but you can see my small collection of titles in the reflection in this photo. 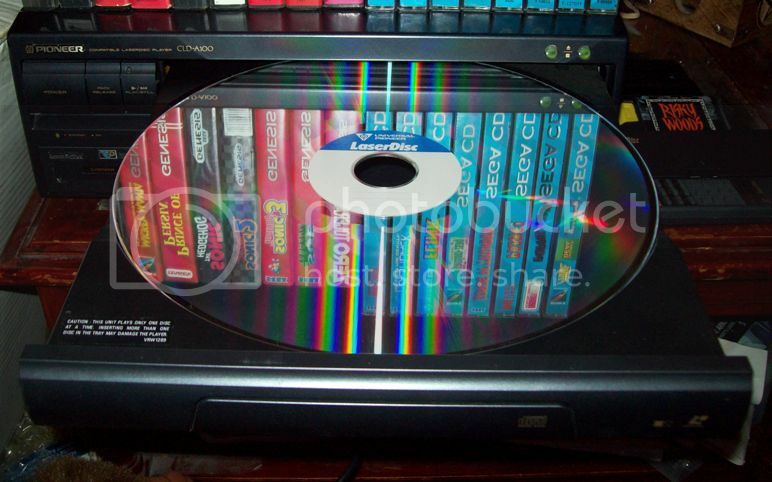 BTW I have a Genesis 1 now and hope to get a bottom CD when I get rid of the LaserActive. Too many parts all over too little space. Very challenging, keep trying Kid! I have the last two Voodoo cards released and plan to make '95 & ME/XP systems. Sorry to hear that mck. Let us say that it did come out in the Summer of '95 and it only cost $100. Do you think it would have saved the system? Was digging in the game room and had the box this was in handy so I snapped a quick shot. He's still reproducing copywrited artwork. He can have his auctions pulled. I love Stingrays. That one is nice, could be 70, 71 or 72. Wonderful years. Personally I want a '73 coup. 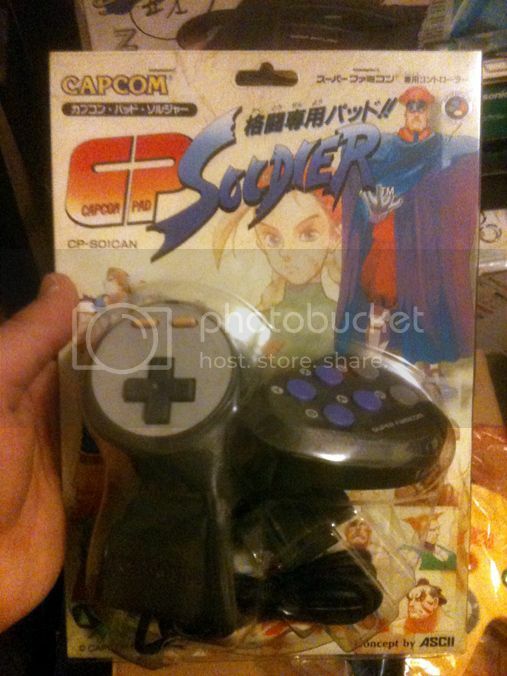 This is the kind of selling that is ruining "retro" gaming. Yeah I need some bags that will hold Euro magazines myself. 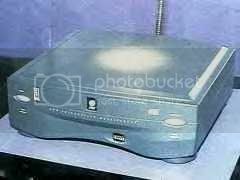 I think the 3DO colors look terrible so I never pursued one.